Issue 15 of Look Left out now | Come Here To Me! – – Calling the bigots bluff: Do anti-choicers want follow through the with the logic of their argument and imprison women, asks Katie Garrett. – What foot does he kick with? : Kevin Brannigan examines the role players from the Republic had in the modern history of one of Loyalism’s footballing bastions. 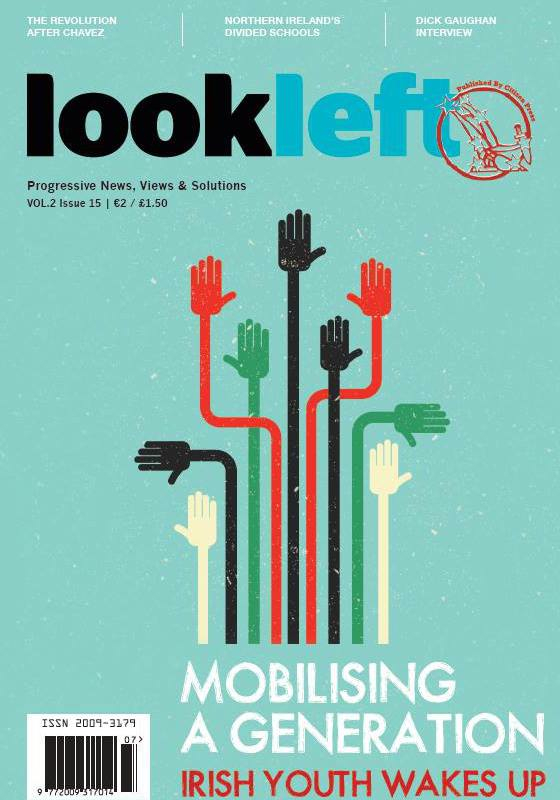 Look Left 15 cover. Design – Claire Davey.